El Indice porcentual de Propietarios de Casas en los Estados Unidos aumentó a 63.50% en el tercer trimestre del 2016 de 62.90% en el segundo trimestre de este mismo año, siendo este también el mismo porcentaje en 1965 cuando se inicio el seguimiento basado en La Oficina del Censo de los Estados Unidos. Este porcentaje refleja las propiedades que están siendo ocupadas por el propietario. ¿Que factores determinan el porcentaje en el índice de Propietarios de Casas? Sin embargo, ser propietario de una casa es un movimiento financiero hábil porque construyes riqueza con el tiempo y en general no hay lugar como lo es Nuestra Casa. Paying a mortgage is cheaper than paying rent. But owning a home costs more. 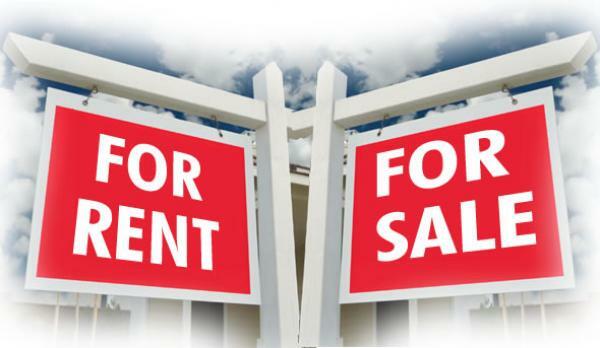 The never ending debate…Is better to buy or rent? This could be answered only after considering all of the expenses that contribute to homeownership. The Bureau of Labor Statistics (BLS) says it’s cheaper to own. It has become less expensive to own. From 2009 to 2012, fueled by falling interest rates, homeownership has become more affordable, while renters saw costs go in the opposite direction, according to the BLS. A recent report by Zillow found that current U.S. home buyers can expect to pay 15.3% of their incomes to a mortgage on the typical home – down considerably from the 22.1% of income homeowners had to budget in the pre-bubble years but renters pay today over 29.5% of their income to rent, compared to 24.9% in the pre-bubble period. The main reason for the budget disparity is the income gap between owners and renters. At the end of the second quarter, the Census Bureau reported the median annual income in the U.S. was $53,216. But among homeowners, median salaries were $65,514 per year, while the typical renter’s income was just $31,888. Propietarios de Casas pagan menos por hipoteca que inquilinos por alquiler.